With the debut of the Gold-P6, Cort introduces a parlor-size acoustic guitar that returns to the instrument’s vintage sound as well as its vintage stature. Parlor-sized guitars are seeing a revival, both for their ease of playing and also for their portability. 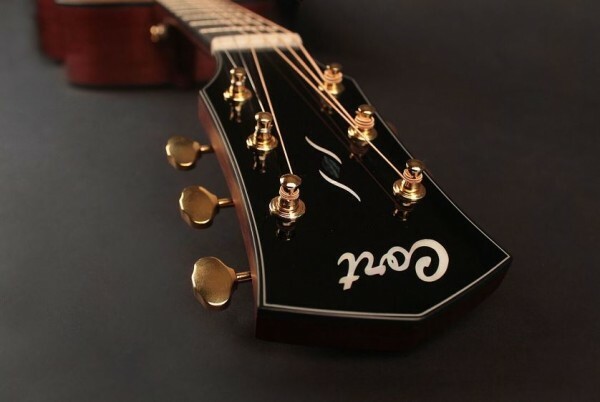 Cort’s Gold-P6 delivers these desirable features with high-quality natural tone. Although the Gold-P6 is smaller in size, Cort has several features that help to deliver a big, natural tone. This model has a deep body depth at 3 11/16’’ by 4 7/16’’. The solid mahogany sides and back help provide depth with excellent dynamics. A Macassar ebony pyramid bridge further helps the Gold-P6 reproduce genuine acoustic tones. True to the parlor style, the Gold-P6 has a slightly wider nut width that makes it easier for fingerstyle playing. The standard 19-fret, 25.3inch scale provides plenty of range. Playability and tone also enhanced by the Macassar ebony fingerboard and the Gold Series’ new neck profile with a rounded fingerboard edge for added comfort. The tight-fitting traditional dovetail neck joint is reinforced by the addition of a bolt, which maximizes the transfer of tone and enhances resonance. 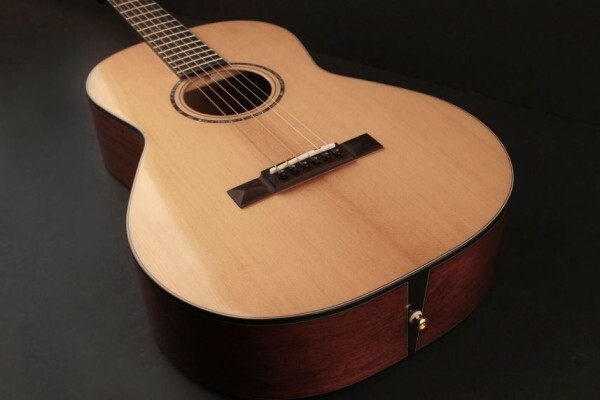 The neck has been reinforced with walnut inserts that provide added rigidity and stability. As with other acoustics in the Gold Series, the solid Sitka spruce top of the Gold-P6 has been treated using a special torrefaction process called ATV (Aged to Vintage), which gives the guitar the big, open tone of a decades-old acoustic. Aggressively scalloped X-bracing frees up added top vibration, and a special UV finish is less constrictive on the instrument. While the focus of the Gold-P6 is on sound, Cort delivers a classic-looking instrument with graceful curves, black binding with triple-ply purfling, an abalone rosette, and deluxe vintage gold tuners. This is one guitar that will likely become the new favorite at social gatherings. A soft-side case is included to protect the Gold-P6 during transport. Learn more about the Gold-P6 at Cort official website's product page or visit them at Winter NAMM, booth #5215.